Since moving to Glasgow in 2016, the mighty saxophonist Tony Bevan has run the improvised music event Help Me I'm Melting!, where he collaborates with musicians from the Scottish, UK, and international scenes. 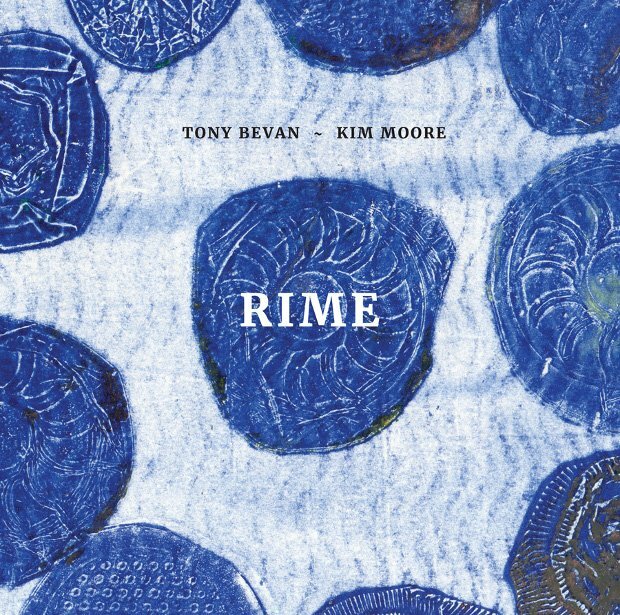 Rime is the first vinyl release from the sessions, lovingly presented on Bevan's own Foghorn label. This August 2016 set sees Bevan commune with Kim Moore (WOLF, Zoey Van Goey). Moore uses pedals to layer melodic fragments over textural drones, while Bevan patiently explores a range of bass saxophone timbres, from guttural parps to long, fluttering tones. There's some beautifully sensitive duo playing, where lyrical phrases emerge from sustained tonal clusters. Elsewhere, it gets pretty gnarly, with Moore's distorted viola and Bevan's breathy slobber conjuring images of a steel mill sinking into a stormy ocean. The final section is stunning, with Bevan's grainy soprano saxophone soaring and braying over Moore's ghostly orchestra. Out now on Foghorn Records.